HMS Tireless returning to Devonport Naval Base this evening. Picture by Nick Copson. NUCLEAR-powered Royal Navy submarine HMS Tireless has returned home to Plymouth for the last time. The service’s longest serving nuclear-powered hunter killer sub is due to be decommissioned after nearly 30 years of service. The vessel, base ported in Devonport, operated as one of the Cold War “warriors”, a Navy spokesman said. “Out of sight and mind, she deployed for long, secret and often dangerous missions out into the Atlantic,” he added. “She patrolled for months at a time searching for and stalking her enemies. The sub returned home tonight after completing the first deployment by a Royal Navy nuclear-powered submarine to Australia in seven years. HMS Tireless had also been assisting in the search for missing Malaysian Airlines flight MH370. HMS Tireless was launched in 1984 and commissioned a year later. She surfaced at the North Pole in 1991, 2004 and 2006, and between 2010 and 2011 took part in a 10-month deployment, the longest continuous deployment by a UK nuclear-powered submarine up to that date. This year she has been on East of Suez deployment, which included her searching for Flight MH370. This entry was posted in UK Submarines and tagged HMS Tireless, Royal Navy, Submarine on June 2, 2014 by jasonlockley. THE Navy is finding it “increasingly difficult” to deploy a nuclear hunter-killer submarine to patrol British waters around the Falkland Islands. Senior sources made the warning last night, three weeks after the Sunday Express reported exclusively that the forced return of HMS Tireless means that just one of Britain’s five Trafalgar-class submarines is fully operational and even that is about to undergo a brief period of maintenance after duties in the Middle East. Submarines proved their effectiveness in the Falklands War when HMS Conqueror sank the General Belgrano. 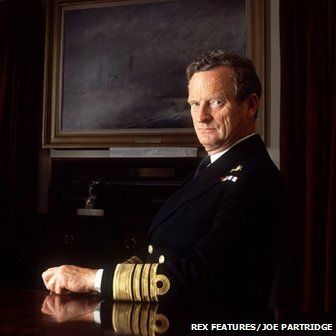 However, the Conqueror was decommissioned in 1990 and the hunter-killer fleet is “now well beyond its sell-by date”. I have always argued that we need to have a submarine on permanent deployment in the South Atlantic but this was reduced to occasional deployment. Now we seem not able to do that, either. Hunter-killer submarines are needed to carry out vital duties, including protecting Britain’s Trident missile-carrying Vanguard submarines which patrol the North Atlantic. However, HMS Torbay is undergoing maintenance, HMS Trenchant will need servicing after its deployment in the Middle East, HMS Talent is awaiting decommissioning and HMS Triumph, which should have been decommissioned last year, is being used for training . HMS Astute, the first of our new £1.2billion Astute class submarines, is still not fully operational. Tireless, dubbed HMS Tired, was forced to return to base last month due to a coolant leak in its nuclear reactor. Sources suggest it could be out of action for 10 months. Last night naval sources suggested the likelihood of an Argentine seaborne invasion was “almost non-existent”. However, submarines have long been regarded as the “secret weapon of ultimate deterrence” against Argentine aggression. Details of their deployment are never made public but last year Navy sources let it be known when HMS Talent was sent to the islands to put a lid on any threat of Argentine aggression during the 30th anniversary of the conflict. The Navy aims to send a hunter-killer nuclear submarine to South Atlantic waters at least twice in 12 months. Last night former First Sea Lord Admiral Lord West said Britain is “now paying the price” for the 10-year delay in ordering the Astute-class replacements. 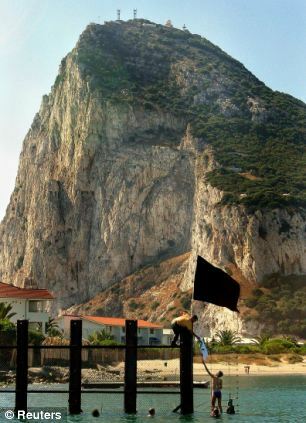 Last night a Ministry of Defence spokesman said there were contingency plans to increase the military footprint in the South Atlantic if required but there was no suggestion of any need to do this at present. This entry was posted in UK Submarines and tagged Admiral Sandy Woodward, Astute, Falkland islands, General Belgrano, HMS Conqueror, HMS Tireless, Hunter-killer on March 11, 2013 by jasonlockley. 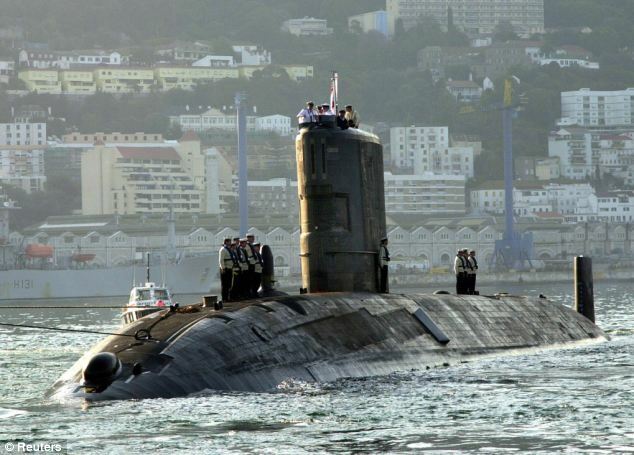 The Devon-based submarine HMS Tireless has returned to Plymouth after a leak in its nuclear reactor. The Royal Navy said the small leak of coolant was contained within the reactor compartment of the Trafalgar-class hunter-killer vessel. The navy said that the incident “posed no risk to the public, the environment or the crew”. It added it was not yet known how long the repairs to the 28-year-old vessel would take. While HMS Tireless has had its fair share of problems, the Royal Navy has been able to keep the boat in sufficient shape to remain part of the UK’s armed forces for nearly 30 years. The vessel is expected to be decommissioned this year. The navy openly admits that it and four sister vessels still in service were “designed as Cold War warriors” and are now having to adapt to the demands of the 21st Century. Any problem with any vessel’s nuclear systems must be treated very seriously, but those systems are completely contained in a sealed compartment. There are also safety procedures in place to prevent radioactivity from leaking out of the vessel. 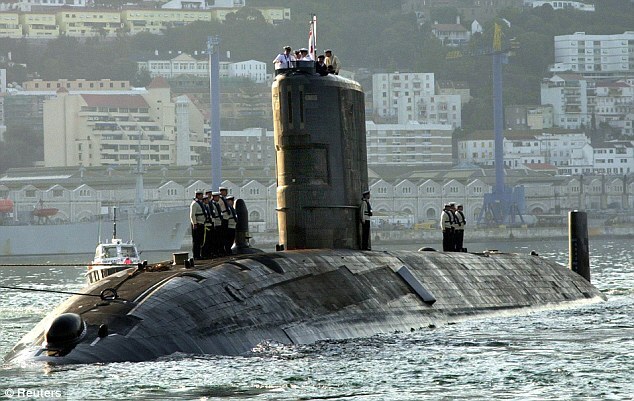 This, coupled with the fact the submarine has always come back to its base in a city populated by 250,000 people, shows the service is confident such situations can be kept safely under control. 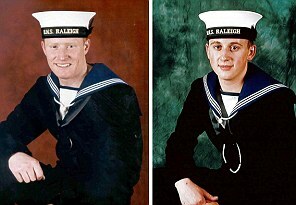 It is the latest in a series of incidents that have affected the submarine. In 2007, two mechanics died on board when a self-contained oxygen generator exploded while the vessel was under the North Pole. The vessel was sailing under an ice pack 170 miles (275km) north of Deadhorse, in Prudhoe Bay, Alaska, when the accident happened. 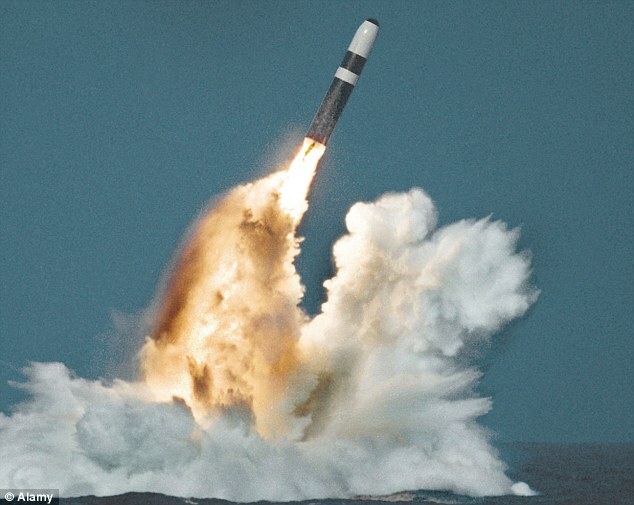 In 2000, a fault was discovered on board which then forced 12 hunter-killer nuclear submarines in the UK’s fleet to undergo intensive inspections. 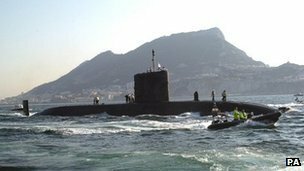 The submarine became stranded in Gibraltar in May of the same year with a leak in pipe work leading from the nuclear reactor system. 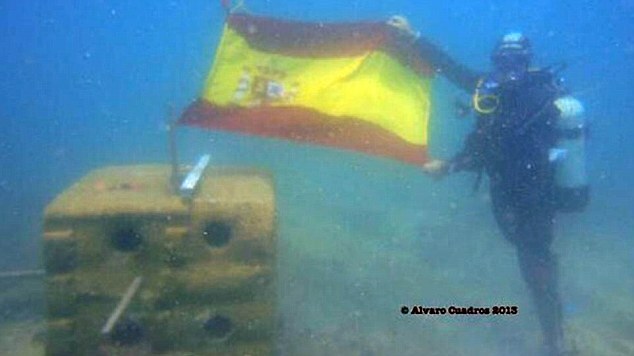 It was there for nearly a year while repairs were carried out, putting a strain on relations with Spain, and drawing criticism from environmentalists. In May 2003, it was taken to Scotland for repairs prompting a Ministry of Defence inquiry after it collided with an object at sea. This entry was posted in UK Submarines and tagged Devonport, HMS Tireless, Plymouth, Reactor leak on February 20, 2013 by jasonlockley.